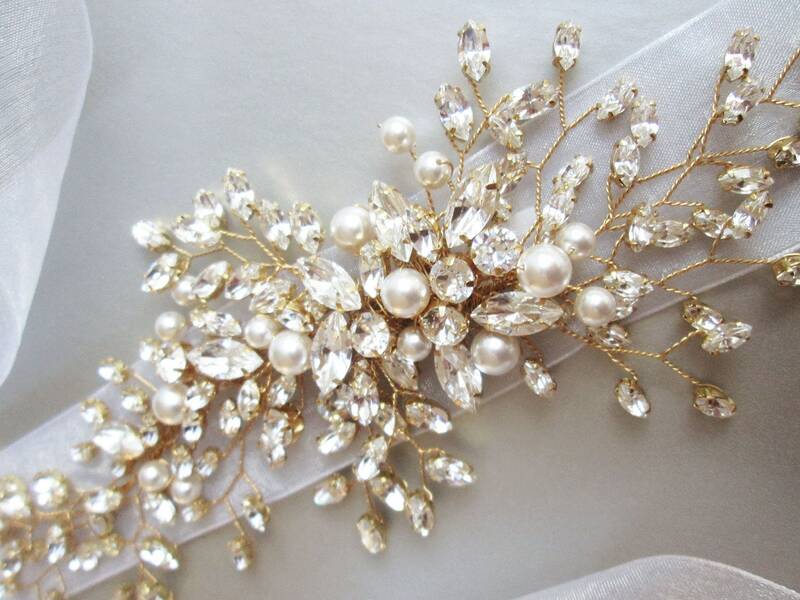 Finish GOLD/WHITE PEARL GOLD/IVORY PEARL SILVER/WHITE PEARL SILVER/IVORY PEARL ROSE GOLD/WHITE PRL. 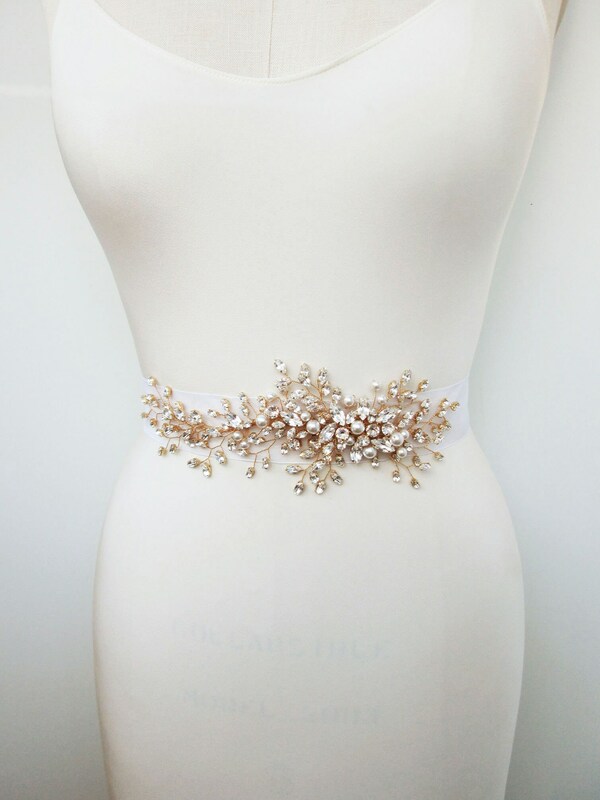 ROSE GOLD/IVORY PRL. 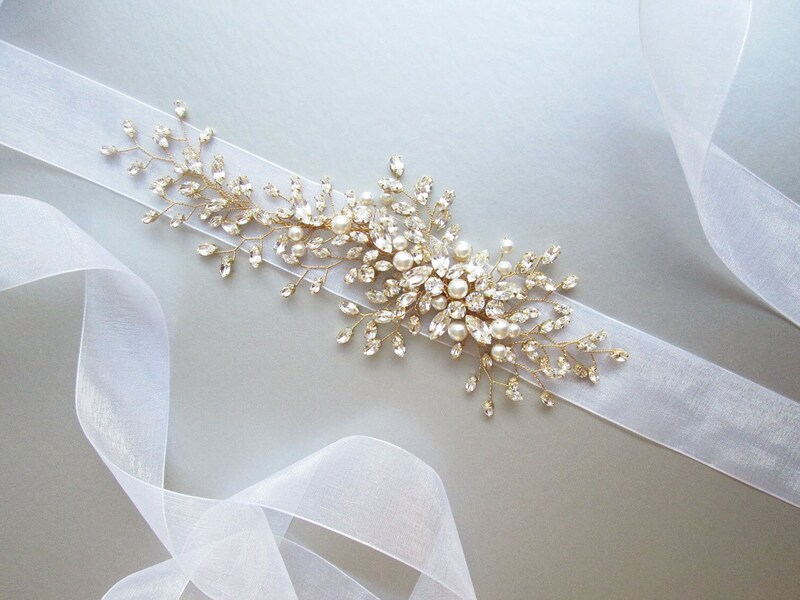 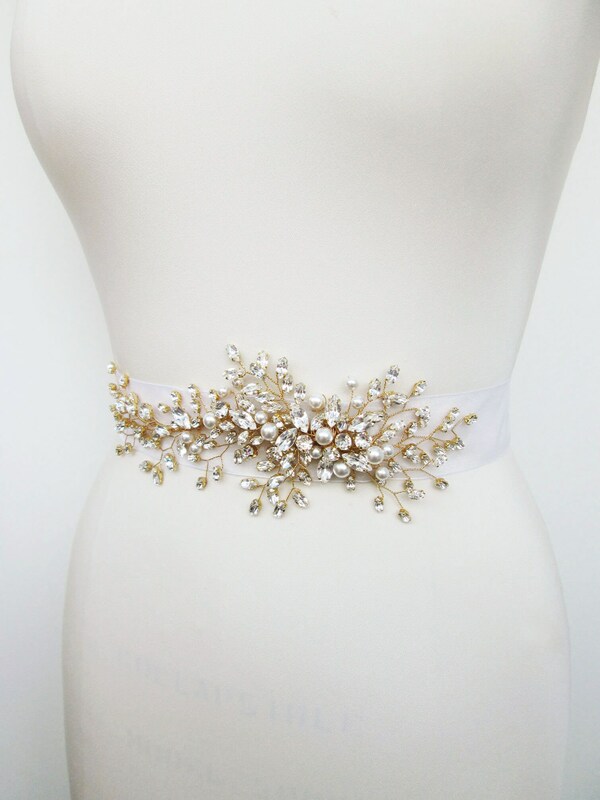 This delicate romantic belt is beautifully hand made with fancy Swarovski crystals and Swarovski pearls twisted into this intricate design. 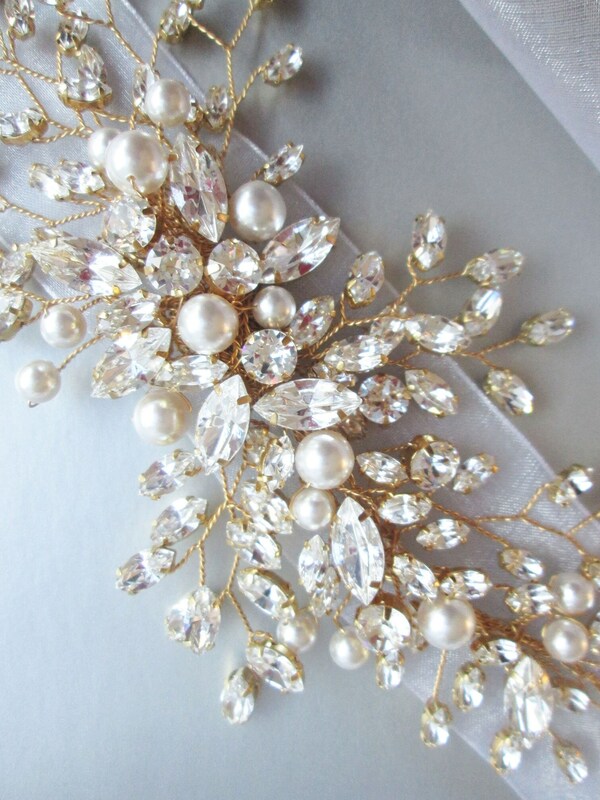 The crystal design measures about 10" long and 3 1/2" wide. 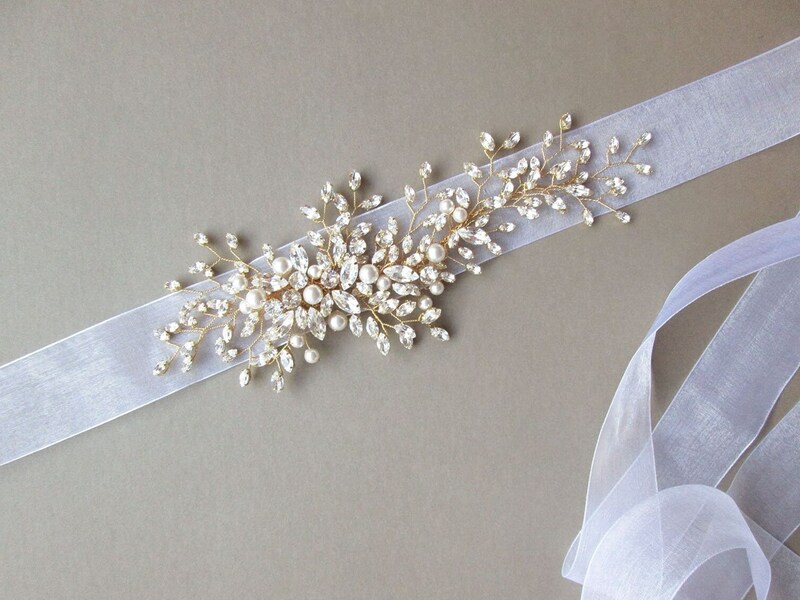 The design is attached to a 1 1/2" wide sheer organza ribbon measuring 150" long. 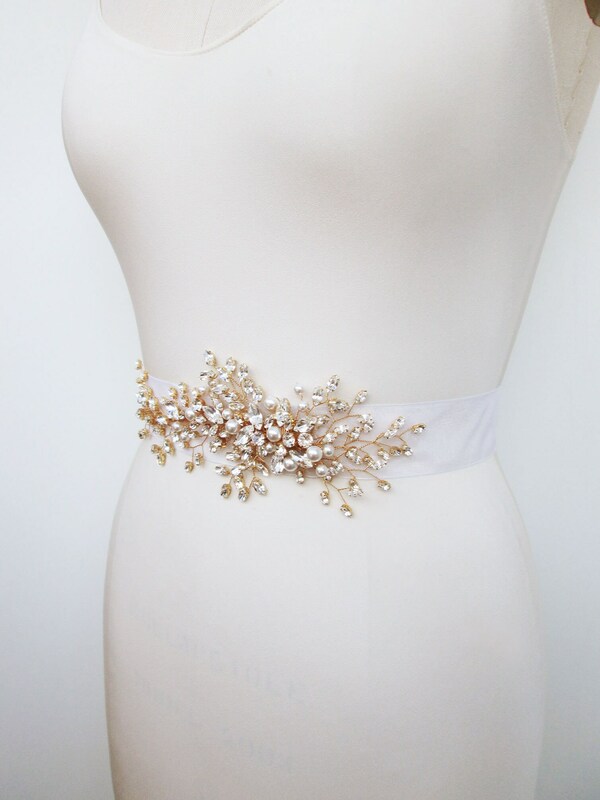 This belt is available in gold, silver or rose gold finish and with white or ivory pearl. 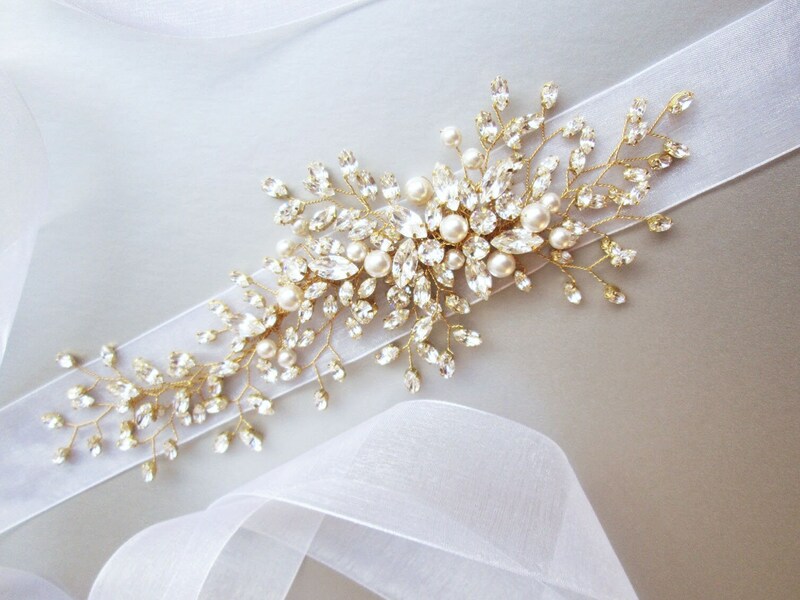 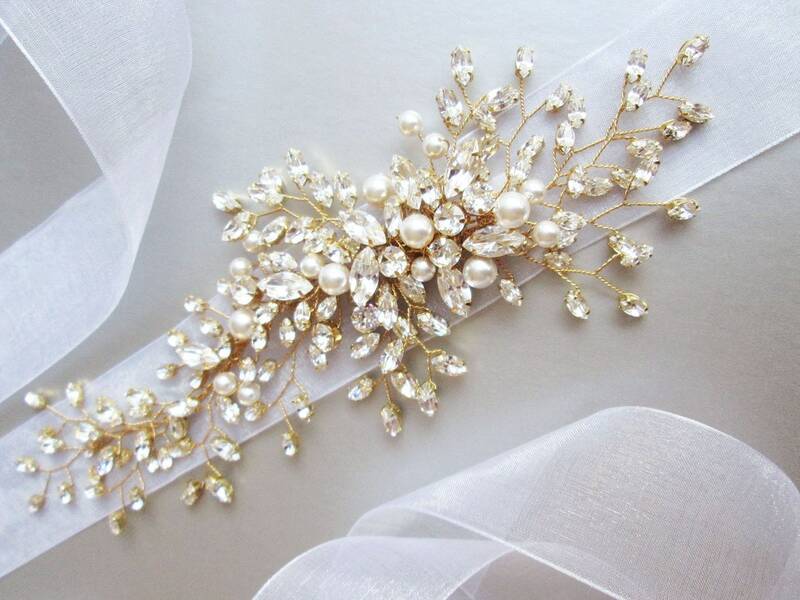 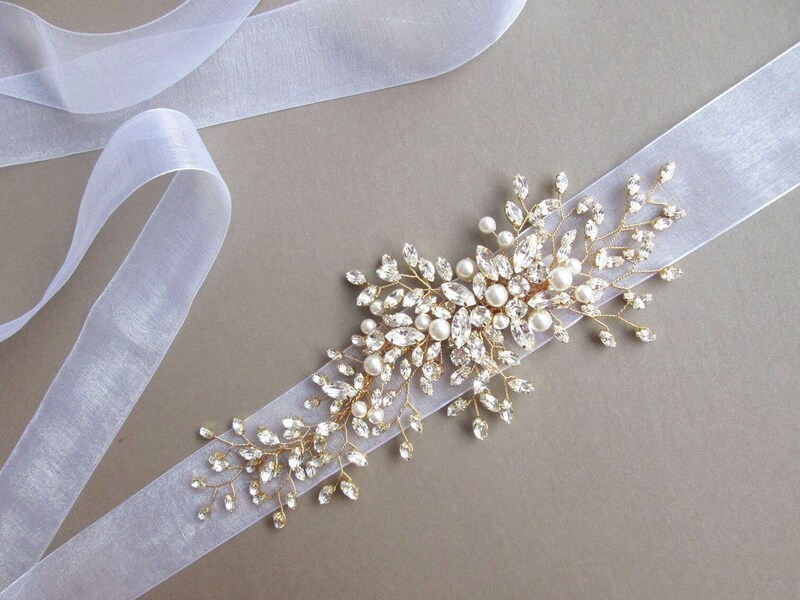 Shown in the photos in gold finish with white pearls and white organza ribbon.